I read this article and found it very interesting, thought it might be something for you. 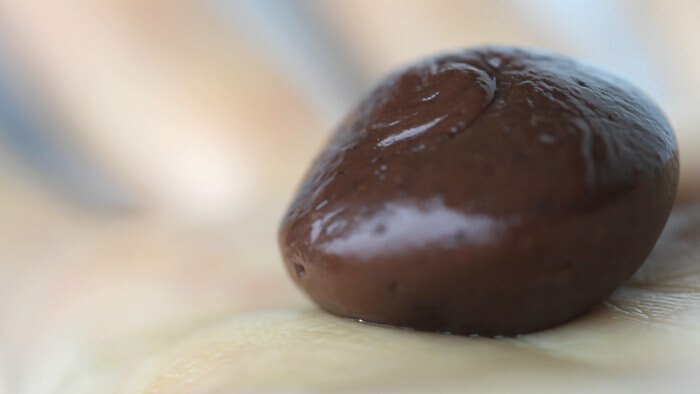 The article is called 3-Ingredient Truffle Chocolate Recipe – Brigadeiro and is located at http://eugeniekitchen.com/brigadeiro-truffle-chocolate/. 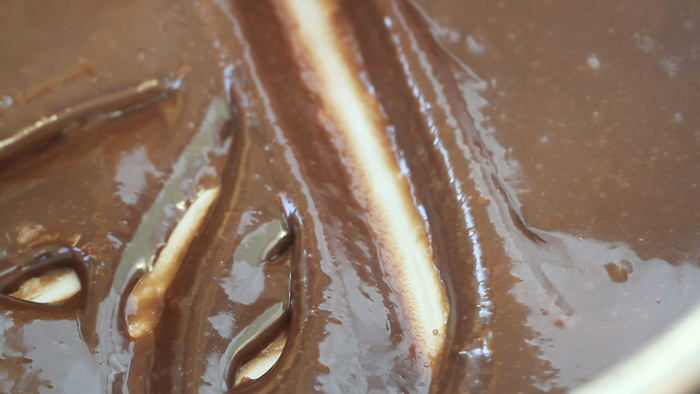 Make truffle chocolate with this easy brigadeiro recipe. This quick no-bake Brazilian dessert will be a great guest pleaser for any party. Children will also love to make these during holidays such as Thanksgiving and Christmas. It’s easy to make 3-ingredient brigadeiro truffles. You can decorate truffles with green tea powder, grated coconut, chopped walnuts, chopped pistachio, strawberry chocolate, etc. My favorite is pistachio. Brigadeiro is creamy like chocolate ganache. 1. 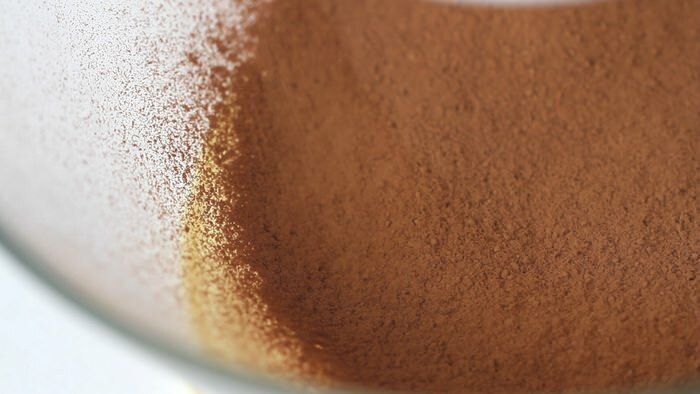 First, sift 3 tablespoons of unsweetened cocoa powder. 2. Then add 12 oz of sweetened condensed milk in a thick-bottom sauce pan. 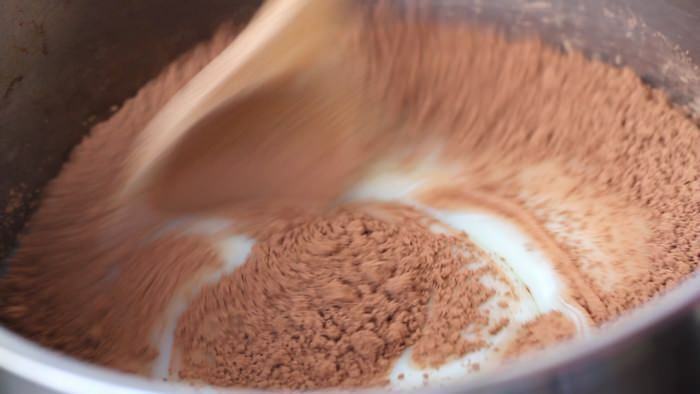 Add in the sifted cocoa powder. 3. And over medium heat stir with a wooden stick until combined. Now add in 1 tablespoon of unsalted butter and stir continuously until butter is melt. When it boils, stir rigorously until the mixture thickens like this. 4. Then transfer to a heat-proof bowl and let cool. This is brigadeiro. 5. Rub butter on your palms. And make truffles with a teaspoonful of brigadeiro. 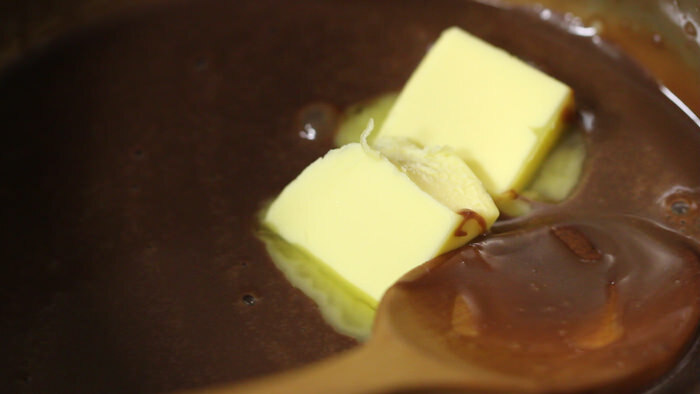 Butter will prevent brigadeiro from sticking to your palms. 6. Then roll it in the sifted unsweetened cocoa powder.